Hi everyone ! 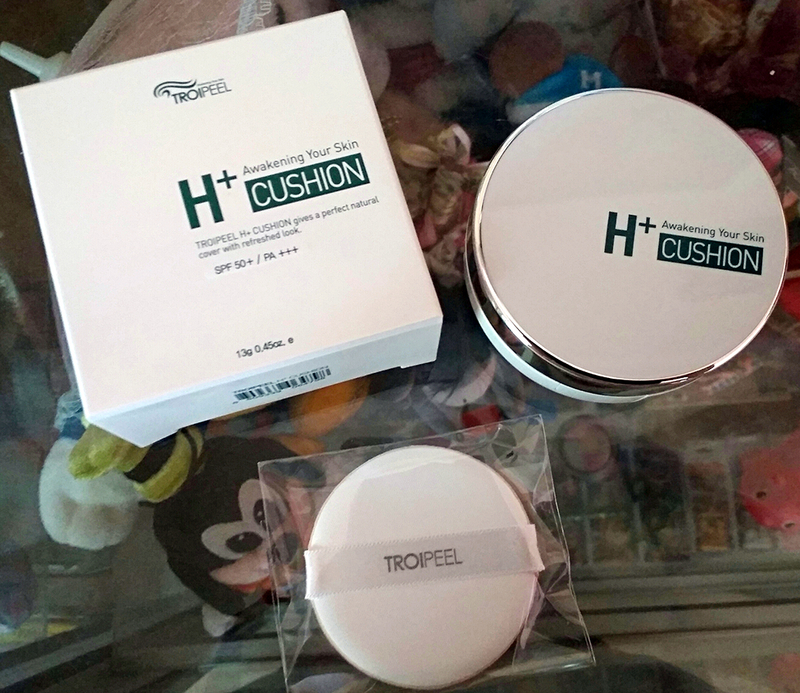 Today I'm going to review about TROIPEEL H+ Cushion (Healing Cushion). It's a Korean cushion foundation by Korean Cosmetic Brand called TROIPEEL. I heard this brand from some of Youtube reviews. Many of them said that it's the BEST Cushion for Acne Prone Skin, it contains of 99% skincare and 1% makeup, Great Coverage etc etc. It makes me so excited that i want to try the products ! 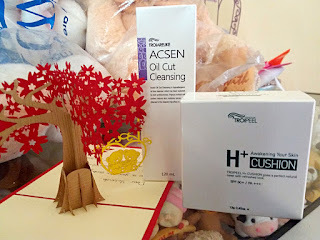 A few months later,, finally i got the TROIPEEL H+ Cushion + TROIAREUKE ACSEN Oil Cut Cleansing !! OK now let's start the H+ Cushion review ! TROIPEEL Healing Cushion (H+ Cushion) contains : UV Protection, Whitening, Anti Wrinkle Features. So that it's not just healing your acne but also have many other properties. The cushion also has Water Wrapping System that makes your skin moisturized all day. This cushion's sponge also has a "Mochi Cushion" system where it keeps the products fresh each use. It also prevent the foundation from oxidating, and moisture loss. - It heals your skin, i feel that my acnes are 'tamed' after using this product every single day. - The puff is soft. It's really soft to the skin, not like other korean cushion that tends to be bouncy and plasticy puff. - Doesn't feel heavy on the face. - The packaging looks clean, simple, and light. - Only provide 1 shade (i think it's around #21 or #23 in korean shade) so if you are lighter than #21, or darker than #23 shade in other korean products i don't think it'll suit your skin color. - It's a little bit pricey compared to other Korean Cushion but it's also NOT the most expensive cushion out there. This cushion is by far my favorite cushion at the moment. I didn't feel guilty when i apply this cushion on my face because it's 99% skin care and only 1% make up. It also match my skin tone and have a great coverage. 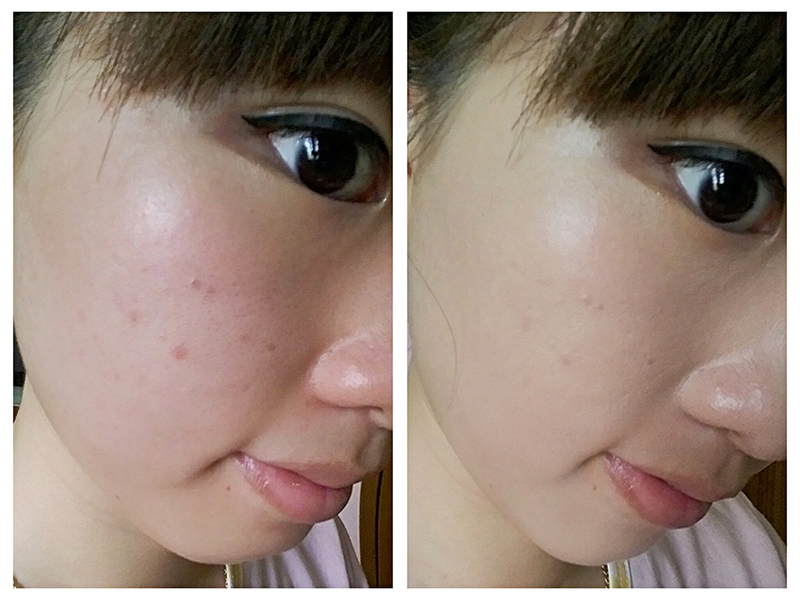 It cover my redness very well and cover my blemishes too! The only downside is it's a little bit pricey and for Indonesian you have to get them online. Honestly i haven't feel any different with the 'whitening, and anti-wrinkle' effect, but i know for sure that it's good for my skin, good for my acne since i'm combination - oily skin type. It held the foundation pretty long (around 6 hours) and doesn't feel heavy at all. It has a semi matte finish which is perfect for my skin type and also a little bit of glow (just a little bit). I think that it's perfect for people who live in humidity area like Indonesia or have an combination/oily skin type or even in summer time ! Overall, i really trully love this healing cushion ! yess :) but i think the price is quite worth it :) it's also my favorite cushion. where can I buy it in the Philippines? Sorry i have no idea where to buy it in philipine (store) but if you want to buy online i linked their facebook page already hehe. Haii.. harusnya sih cocok" aja ya. Soalnya ini buat kulit sensitif aja bisa cocok hehe. bisa lewat webnya itu atau tnyin langsung via facebook message ke fanpagenya hehe. 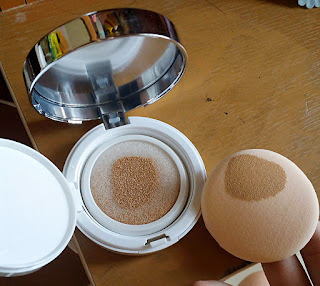 Waah aku penasaran banget sama cushion ini, banyak beauty vlogger korea yang rekomendasiin cushion ini untuk kulit berjerawat. Sayangnya aku gak tau harus belinya dimana. Ini beli langsung dari website korea ya? Iya emang bagus bgt sih soalnya. Hehe bisa calm down jerawat. Iyaa bagusss XD dan ga berefek buruk ke jerawat malah lebih tamed gitu.